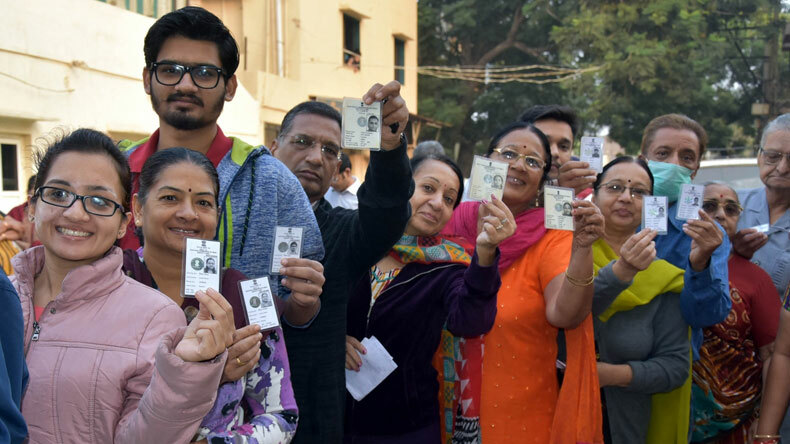 An estimated 68% of voters exercised their franchise in the first phase of polling in 89 constituencies in Gujarat till 5 PM, with the Election Commission saying the figure is likely to cross 70%. 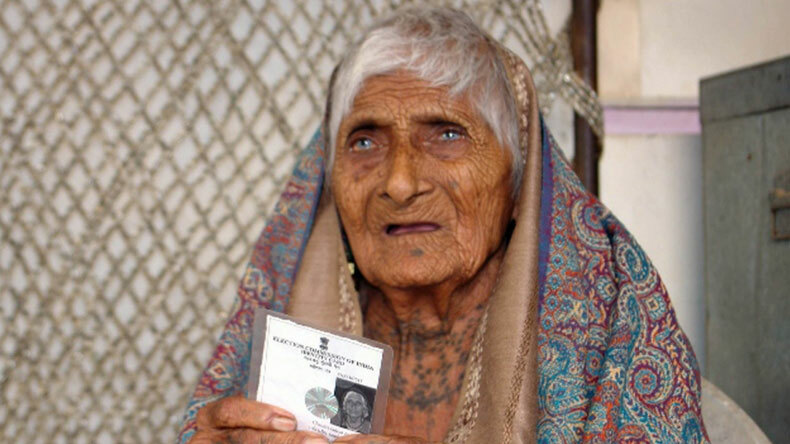 126-year-old Chandravadiya Ajiben Sidabhai became the oldest voter in Rajkot. 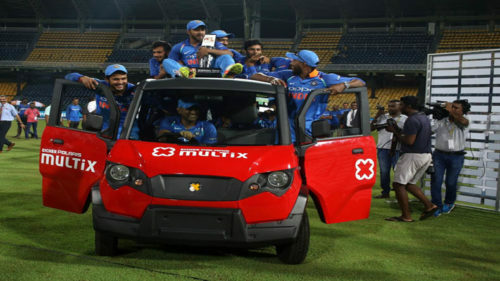 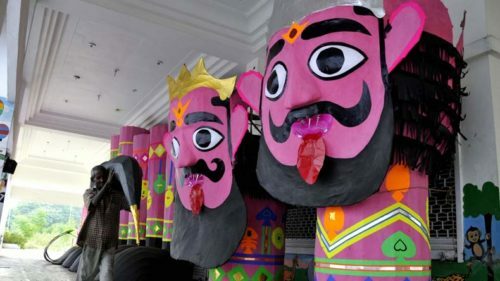 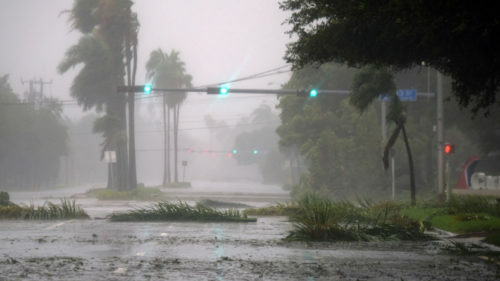 Counting of votes will be held on December 18. 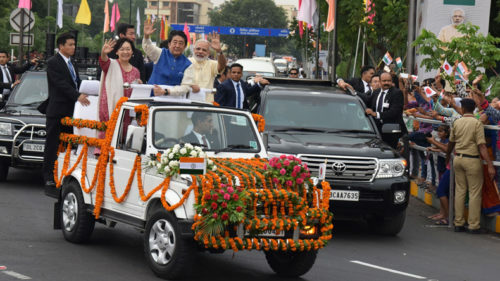 The Gujarat Assembly Elections 2017 is being considered as one of the most important elections before the 2019 General Elections and also a one which is being held while there is Bharatiya Janata Party (BJP) government at the centre. 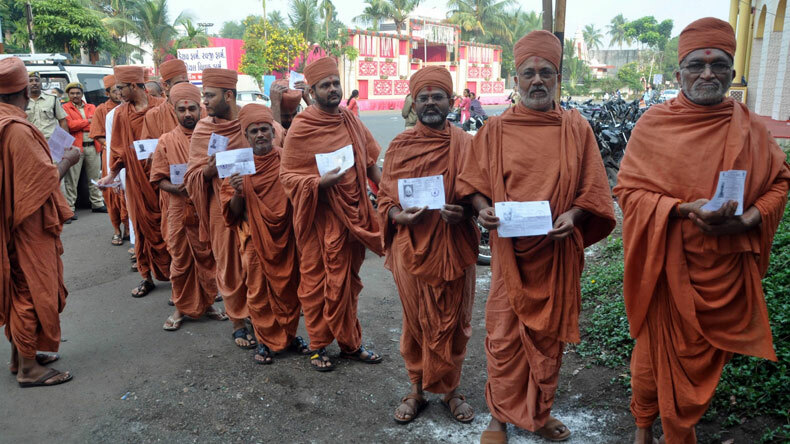 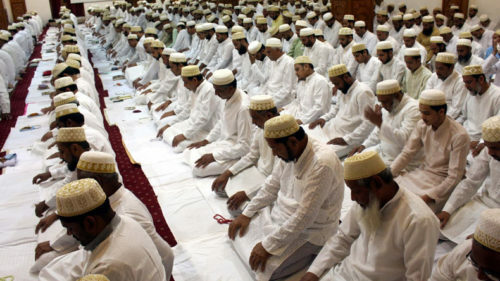 Monks wait in a queue to cast their votes during the first phase of Gujarat election in Surat. 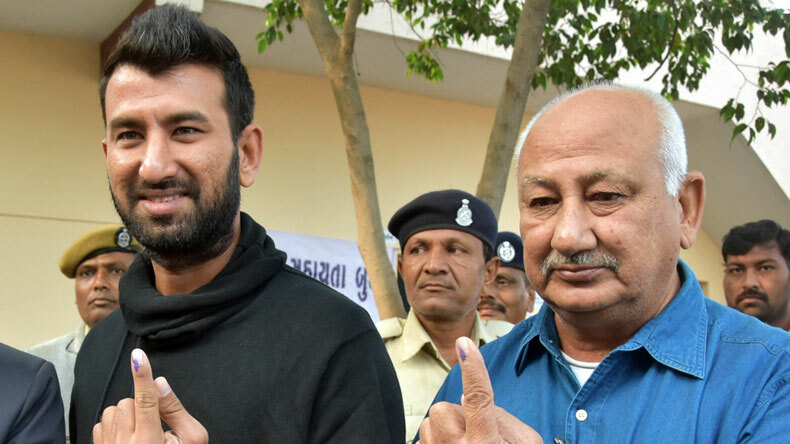 Cricketer Cheteshwar Pujara and his father Arvind Pujara show their fingers marked with phosphoric ink after casting their votes during the first phase of Gujarat election in Rajkot, Gujarat. 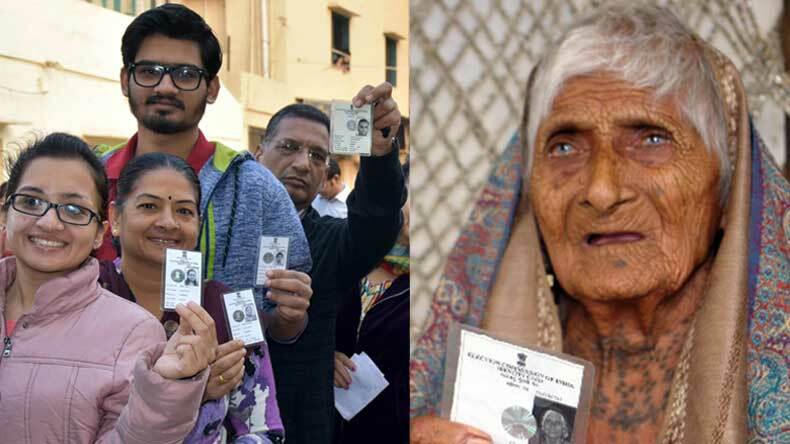 People wait in a queue to cast their vote during the first phase of Gujarat election in Rajkot. The oldest voter in Rajkot, 126-year-old Chandravadiya Ajiben Sidabhai, arrives to cast her vote during the first phase of Gujarat election in Rajkot. 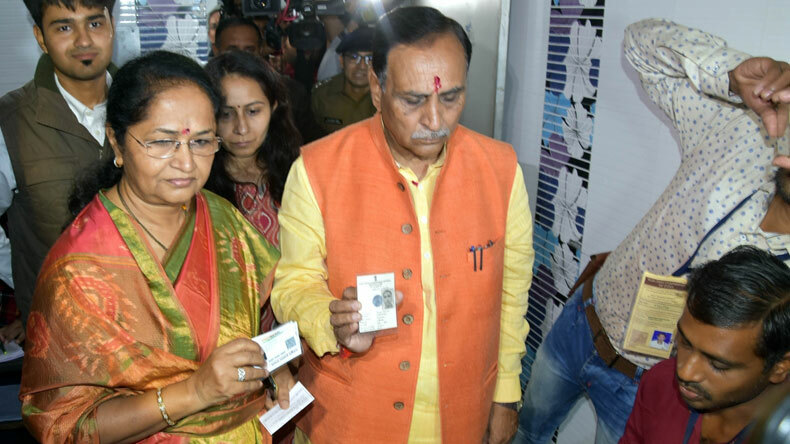 Gujarat Chief Minister Vijay Rupani and his wife Anjali Rupani at a polling booth during the first phase of Gujarat election in Rajkot. 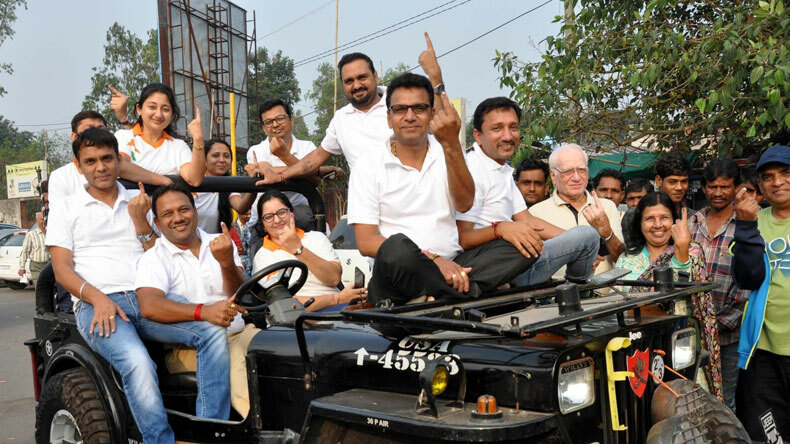 People show their fingers marked with phosphoric ink after casting their votes during the first phase of Gujarat election in Surat.